13-inch MacBook Pro with 2.26 GHz processor starts for as low as $1199 where as the one with 2.53Ghz processor starts for $1499. 15-inch MacBook Pro comes 2.53, 2.66 and 2.8Ghz processor options, and they start for as low as $1699, $1999 and $2,299 respectively. They 17-inch MacBook Pro model comes with 2.8Ghz Core 2 Duo processor and it starts for as low as $2499 for the basic model. 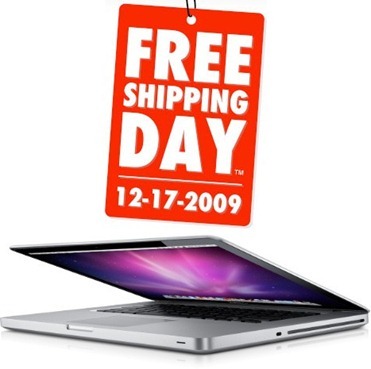 Free shipping offer is valid on all the above mentioned MacBook Pro models and they’ll ship it to you within 24 hours time. You can check out the online Apple Store site to learn more about the free shipping offer on all the models of MacBook Pro.